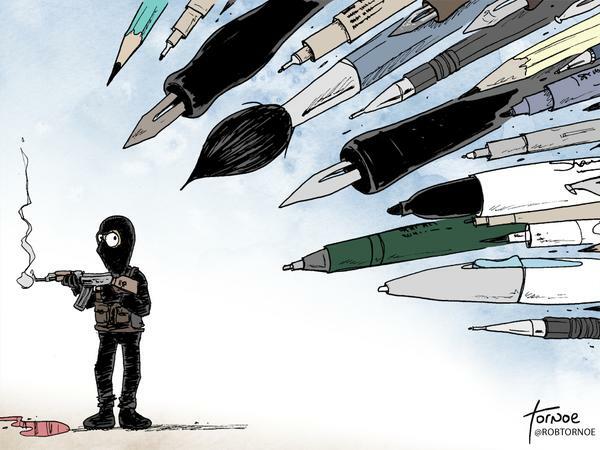 Cartoonists around the world have been proving that the pen is mightier than the automatic weapon. I thought I’d share some of my favourite cartoon responses with you. 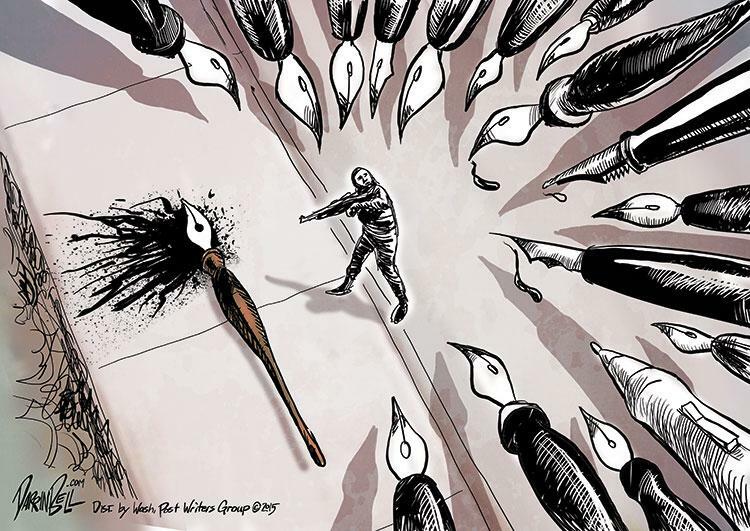 Also, please show solidarity on Twitter with the hashtag #JeSuisCharlie and by (re)posting relevant cartoons including those posted by Charlie Hebdo. 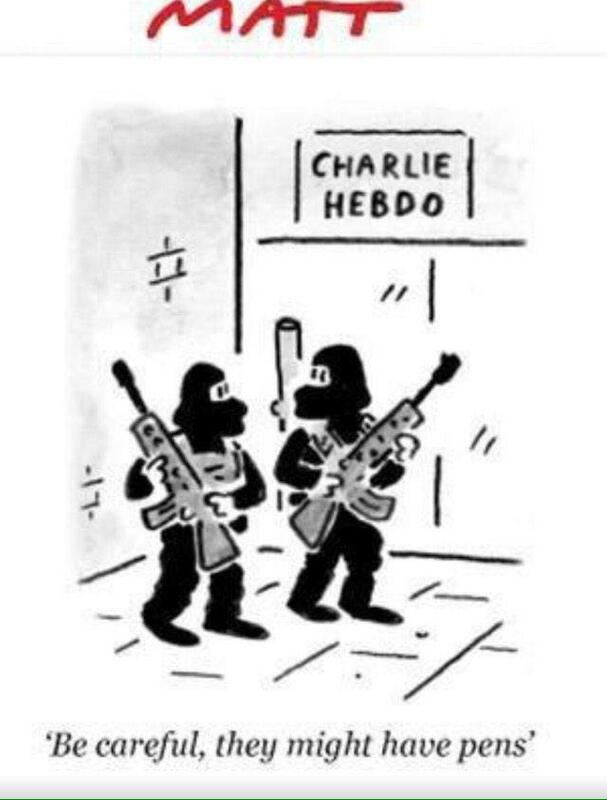 See my post on the breaking news yesterday here. 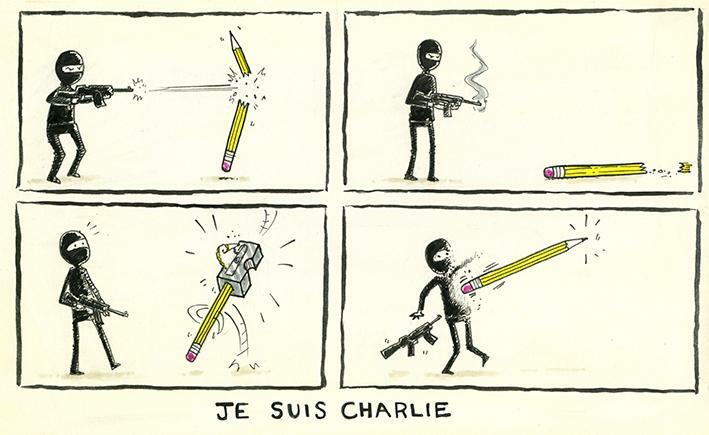 They are all brilliant cartoons, but that last one is especially poignant. I think I agree. 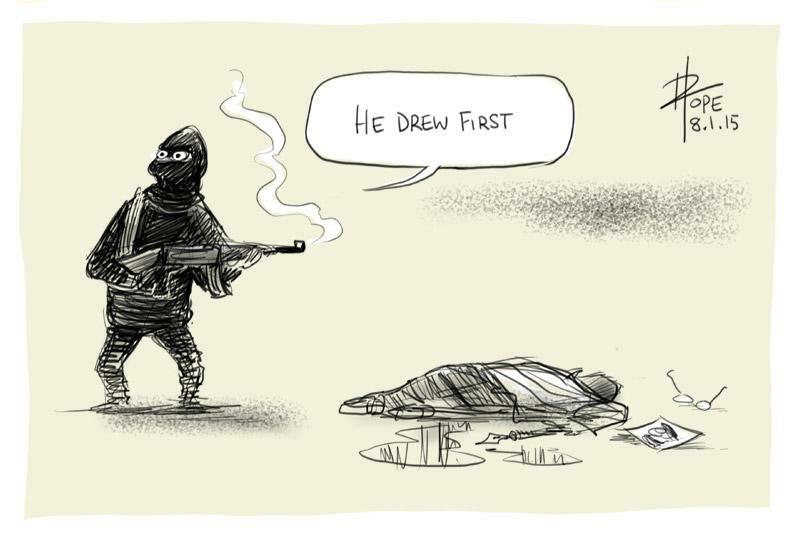 I find the “He drew first” one to be the funniest. But the last one’s pretty potent. I quite like the more jocular ones most, however, as I feel the proper response to all of this is to not lose our sense of humour. 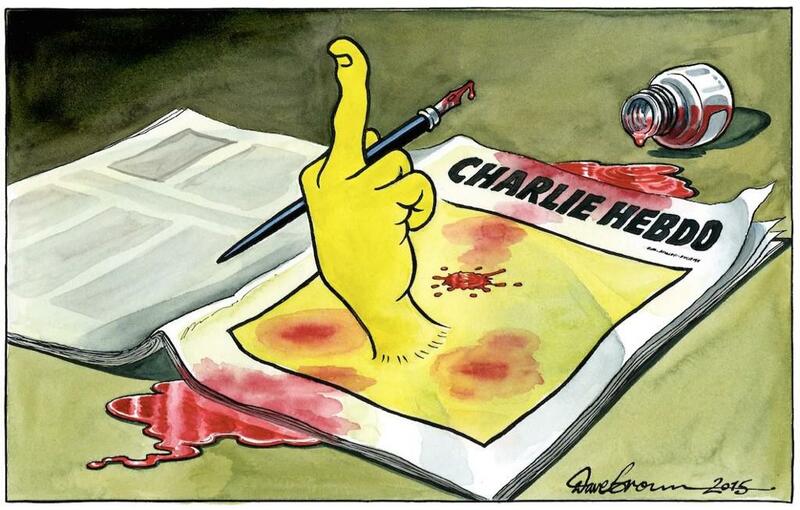 So yeah, “He drew first”, the flipping the bird one, and the one by Matt might be the most effective.